We are now into the third month of our self love journey. We started in September with the Self Love Challenge and continued by awakening all of our senses with Orgasmic October. Now we are moving into Nurturing November. to bring up; train; educate. rearing, upbringing, training, education, or the like. the nurture of young artists. something that nourishes; nourishment; food. 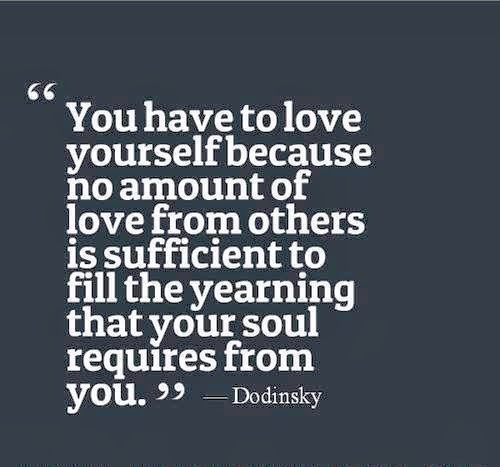 From this we can see that nurturing ourselves can mean that we are literally nourishing our bodies, mind and spirits but we are also educating and training ourselves to put ourselves first, to take better care of us and not always put others first. (1) Wash your make up brushes. This is one of those little jobs that we often overlook but it is important. Every time we use them we are trapping skin cells and bacteria in them and then next time we use it we spread that bacteria across our face. Not a great idea! (2) Take a technology break. This one can be a real challenge but lets face it do we really need to be available 24/ 7? Walk away from your computer, put down your cell phone and relax. (3) Check the expiry dates on your make up and skincare. Yes, they all expire! The life of a mascara is only about 3 months!! Check out this article for the shelf life of your other make up essentials. (4) Drink, drink, drink! yup, I'm talking about water here. Not coffee. Not alcohol. Not tea. Just pure, clear water. Did you know dehydration could be the reason you wake up still tired in the morning? Or how about the fact that dehydration impacts on lubrication??? If that doesn't make you grab a glass of water I don't know what will. (5) Make a spritz for your face. Blend together some of your favorite essential oils and water. Find a misting bottle and away you go. Check out this article for some inspiration. (6) Give yourself permission to say "No" . We are coming up for the silly season which can mean lots of function to attend. Some are a "Hell, Yes." While others are a "Do I have to?" and these are the ones that you just say "No." IF that feels too bald a statement to make then amend it to " No, that doesn't work for me." Simple. Clean. No apology necessary. (7) What makes you happy? Stop and think about what really lights you up. Create a list of all the things that bring you joy. Start doing these things regularly ( if you are not already). Keep it somewhere handy for next time you are having a down day and then do one of those activities for a quick lift. (8) Find a picture of the younger you. I've got a picture of me at 7 and another of me at 11 on my altar and I talk to her daily. Doing inner child work helps us to feel loved and secure as adults. especially if we didn't feel that way as a child. (9) Buy an indoor plant. Peace lilies, spider plant, gerberas, Mother-in -laws tongue and golden pothos are just some of the plants that are great for purifying the air in your home. I have a phalenopsis orchid on my office desk because orchids flower so long and are simply stunning and I love to surround myself with beauty. (10) Book in for a check up with your doctor. I don't often go to the doctor as I tend to treat myself. There are somethings that you need to get checked though. Blood pressure, cholesterol levels, smear tests and breast checks are important and we tend to put them off. Your health is important so go get checked. (11) Eat some kelp. October was Breast cancer awareness month or as I like to call it BREAST HEALTH AWARENESS ( yes I meant to put that in capitals.) Breasts need iodine (hence the kelp) and selenium, both of which are deficient in NZ soils. Men need both of these for their prostate health too so it's a win/win. Good sources of iodine are : kelp,kombu, wakame and Himalayan pink salt. (12) Eat or drink something fermented. I love making my own fermented products such as kefir and kombucha. These products are rich in probiotics in concentrations far greater than any commercial yogurt or probiotic pill. Populating your gut with healthy bacteria can have a positive impact on your mood especially if you suffer from anxiety or depression. (13) Practice deep breathing. Most of us breathe far too shallowly so take a few minutes to slow down and just breathe in as deep as you can. (14) Ask your Angels for a sign. When we were building our house we were trying to decide between two building companies as they both had floor plans that we liked. One company had a plan that was called Grace and the other one was called Tuscan. On the day we decided I asked the Angels for a sign to help us. As we drove from one company to the next I kept seeing the word Grace everywhere.... so we went with that one. 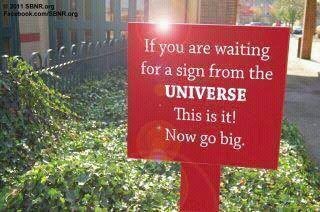 Ask for a sign and then pay attention! (15) Start a journal. I am stationery mad and have numerous journals going at all times. I have a gratitude journal, an inspiration journal, a quote journal and a myriad of others. Keeping a journal can be a place for you to pour out all your angst, catalog all your ideas, and get all of your "to do's " out of your head. (16) Massage your breasts. Breasts need regular massage to ease the congestion caused by wearing a bra all day. Underwire bras can stop the flow of lymphatic fluids and breast massage helps move and release this. Want more info? Go here. (17) What is your proudest moment? Take some time and reminisce about the proudest moments of your life. Write them down in your journal. Start a discussion with your husband and children about what their proudest moments are. (18) Clean out your handbag. Handbags are like a time capsule of our life. All manner of things get tossed in there for safe keeping or for "just in case" moments. I don't know about you but I tend to be a bit of a good girl scout and carry all sorts of things "just in case"; tampons, panadol, plasters, safety pins, pens and paper to name just a few. I also like to rotate my handbags ( I have a handbag fetish) which means I get to go through and toss items I don't need in there like old receipts, old tissues and business cards of people I no longer remember. (19) Start growing your own sprouts. Simply having a jar of sprouts on your bench will make you feel healthier, not to mention virtuous! Sprouts can be tossed in a salad, added to a sandwich or added to your green juice. YUM! (20) Make a vegetarian meal. Adding just one vegetarian meal to your week will increase your vegetable intake and improve your health. Not to mention the impact on animal welfare if we all ate less meat. Need some inspiration? Click on the link. Lots of great recipes and information here. (21) Try oil pulling. This one takes a bit of getting used to. I've been doing it for a couple of years now and my mouth just doesn't feel clean until I've done twenty minutes of oil pulling. So what is it? Simply take a spoonful of oil ( I use coconut oil as it is antibacterial) and swish it around in your mouth like you do mouthwash. Do it for twenty minutes. You need to build up to this as you mouth will ache at the beginning so start with five and then keep going. Your breath will be fresher and your mouth will be healthier. Spit your oil in the rubbish not down the sink or you will clog your pipes. (22) Drink some kombucha. Kombucha is fermented tea. I know, it sounds disgusting but it really is delicious. There are a few commercial brands available now so check out your local health shop and give it a try. (23) Clean your car inside and out. Cars, like handbags, are a time capsule of your life and nothing feels nicer than getting into your car when it is all sparkly clean. So get to it. (24) Write a letter to your inner child. Let her know that everything worked out ok. That you love her and share with her some of what you have learned from being an adult. (25) Upgrade yourself. Find a way to upgrade some aspect of your life today. Do you always buy a small drink? Upgrade to medium. Do you always buy the cheapest toilet paper? Upgrade to a 3 ply. Do you always pluck your own eyebrows? Upgrade to an eyebrow shape and tint. You deserve the best so upgrade yourself today. (26) Make your own body scrub. Get some sugar or fine salt. Add enough oil until it looks like wet sand ( apricot oil or sweet almond oil are good). Add a couple of drops of your favorite essential oil. Stand in the shower stall ( water off) and scrub your whole body then turn the water on and rinse off. Your body will feel soft and delicous. (27)Dance. Put on your favorite music and have a dance party for yourself. (28) Indulge in your favorite treat. For me that is Whittakers Creamy Milk chocolate. Whatever it is for you take a moment and truly savor your treat. (29) What is one thing that you struggle with about yourself? Write about it in your journal. Ask yourself what it would be like if you accepted this. How would you be different if you accepted it? What would need to change in order for you to accept it? (30) Give yourself a pedicure. Our feet do so much for us and yet we ignore them. Just for today treat your feet.